All our partner sites are independently reviewed by our team of industry experts. We examine 10 different criteria and award a score out of 10 for each, adding up to a final mark out of 100. You can read a full description of our Betspin Casino review bonus process here. Betspin Casino received a score of 92/100. Betspin is a chicly-designed online casino that’s become particularly popular with European players since launching in early 2015. 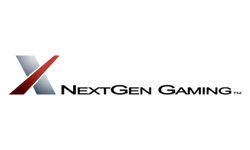 It aims to provide its members with fun and exciting games, as well as a highly enjoyable playing experience through its website, promotions, and customer support. The casino even has its own code-of-conduct which includes Giving, Trust and Honesty, Respect, Passion, and an ongoing commitment to Evolving. There’s a Betspin blog where fans of the brand can ready about the latest games and promotions, as well as other articles of interest, and a Promotions page where you can take advantage of exclusive deals including an extremely generous welcome package. The casino is the brainchild of MT SecureTrade Limited, which is also the operator behind Casino Pop, Guts, Rizk, and Ikibu. Like its siblings, Betspin stocks a wealth of games which can be enjoyed on both desktops and mobiles from leading suppliers such as Microgaming, NYX, Quickspin, and NetEnt. You can get a head start when you join Betspin thanks to the welcome package which offers new players as much as £150 in bonuses and 150 extra spins. To claim it, you’ll need to deposit £20 or more on your first, second and third deposits using the offer codes listed on the Promotions page, and in return, you’ll gain a 200% bonus of up to £50 and 50 extra spins, a 100% bonus of up to £50 and 50 extra spins, and a 50% bonus of up to £50 and 50 extra spins respectively. The Live Dealer Suite is provided by NetEnt, and includes Live Roulette HD, Live Roulette Pro, Live Auto French Roulette HD, Live French Roulette HD, Live Auto Roulette HD, Live Blackjack HD, Live Roulette La Partage HD, Live French Roulette La Partage HD, Live Common Draw Blackjack HD, and Live Blackjack High Roller HD. Promotions are usually emailed and texted to customers rather than listed on-site, but Betspin does have one ongoing offer on its Promotions page called Monday Triple Spins. It lets you claim sixty extra spins on a hand-pick slots game every week when you deposit £30 or more to your account using the bonus code MONDAY. At present, Betspin doesn’t have a VIP or loyalty scheme. Customer support is available via live chat (between 8 AM and midnight), email, online contact form, Facebook, and Twitter. All major payment methods are accepted, including Visa, Mastercard, Skrill, Neteller, Euteller, and Trustly. The minimum deposit amount is £10 for all payment methods except Visa which is £20, and the minimum withdrawal amount is £20 for all payment methods except Visa which is £10. N.B., you should be aware that some banking options have associated fees. Withdrawal requests are processed instantly for Skrill, Neteller, and Trustly, and take one to three banking days for Visa. 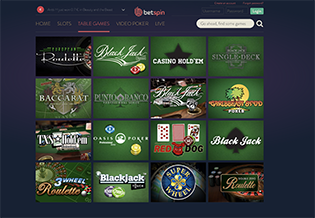 The Betspin website is particularly user-friendly as it provides you with a sticky Help tab on the right-hand side and a concise main menu at the top which features the four major game types. The vertical menu on the left of each page lets you visit the lobby, your account, make a deposit, or request a withdrawal, and details of the welcome bonus and latest promotions are listed just above the games lobby. At the top-right of the homepage, there’s a log in area, as well as links that allow you to create an account or request a password reset. And across the top centre of the screen, you’ll see live win announcements. At the bottom of every page, there are links to Promotions, Terms and Conditions, About Us, Betspinners Blog, Payment Options, Security and Privacy, Responsible Gaming, and the brand’s Facebook, YouTube, and Vimeo social media accounts. The main Betspin website uses HTML5 and, therefore, allows you to log in and play on iOS, Android, Windows, and Blackberry mobile devices without needing to download any apps or software. Betspin is regulated and licensed by both the UK Gambling Commission and the Malta Gaming Authority. Comodo Secure provides the site’s SSL certificate which encrypts sensitive data prior to transmission, and an RNG (Random Number Generator) is in place to ensure that the games give fair and random results. 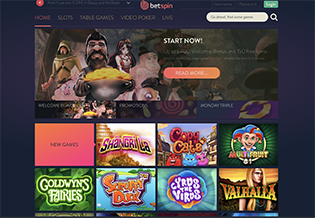 When you visit the Betspin lobby, you can check out New, Featured, and Popular Games, or you can use the tabs along the top of the website to view Slots, Table Games, Live Casino Games, or Video Poker. The 500+ slots include Luchadora, Sakura Fortune, Wild Wild West – The Great Train Heist, Warlords – Crystals of Power, Aztec Warrior Princess, Emperor of the Sea, Rainbow Riches Pick ‘n’ Mix, Holmes and the Stolen Stones, Lady of Egypt, Golden, and Dragon Spin, and you can sort the selection by A to Z, popularity, or software provider. There are 16 table games ranging from Red Dog, Texas Hold’em, Punto Banco, and Baccarat to Caribbean Stud Poker, Double Zero Roulette, Blackjack, and Super Wheel. But, if you prefer a more authentic casino experience, we highly recommend trying out some of the Live Casino games such as Live Blackjack High Roller, Live Common Draw Blackjack, or Live Auto Roulette. Last but by no means least, Betspin gives you the chance to play 6 different versions of video poker: Jacks or Better, Joker Poker, Deuces Wild, Deuces Wild Double Up, All American Double Up, and Joker Wild.